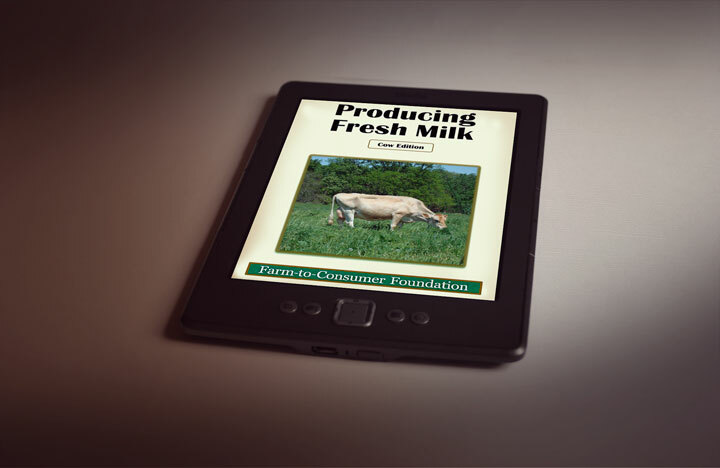 Producing Fresh Milk – Cow Edition is written by fresh milk and dairy experts from around the world to provide readers with their collective thoughts on important consideration in producing fresh milk. Organized into individual aspects of dairy management, it includes references and resources for additional information. 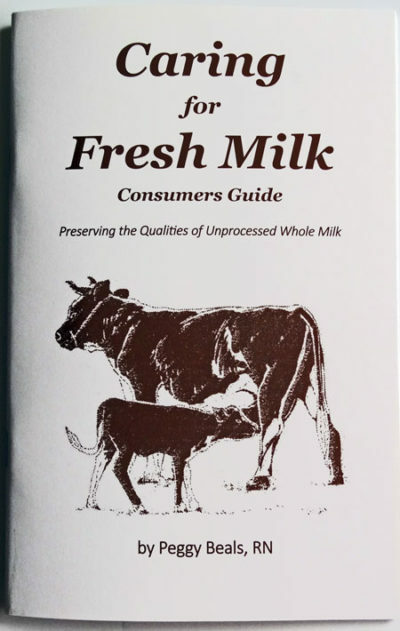 This comprehensive book is relevant reading for current producers, those considering getting into fresh dairy production, as well as for consumers of fresh milk. Interested in starting a dairy to provide fresh milk to families. Producer-farmers currently providing raw milk to the dairy industry, but who are interested in providing fresh milk to families. Currently providing fresh milk and who would like to evaluate or improve their dairy operations. 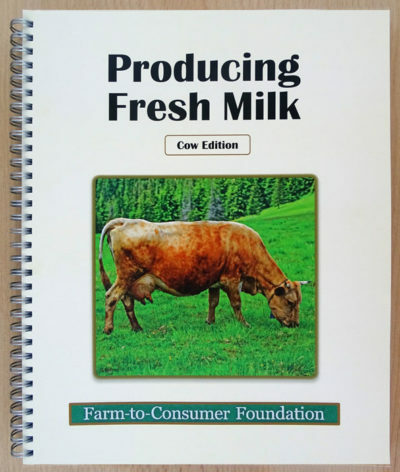 In addition, readers who are inexperienced with dairy farming will gain insight into the commitment and effort that goes into producing quality fresh milk, leading to a better understanding and appreciation of their producer’s diligence. Milk is one example of the growing consumer interest in obtaining information and access to the food of their choice. This consumer demand is encouraging more dairy farmers to consider producing the milk these people want, and motivating others to start up a fresh milk dairy. The Farm-to-Consumer Foundation decided to provide a publication that would help these dairy farmers. They recognized that although there are volumes of information on dairy production practices, nearly all are designed for the dairy farmer who produces commodity milk for the dairy industry. They realized that the production of milk that would be sold and shipped to a processing operation is different than the dairy practices for providing milk that would be purchased and consumed by families fresh and unprocessed. Currently more than 10 million people in the USA are choosing to obtain their family’s milk in its fresh unprocessed form. They are looking for dairies that will supply this milk, and are willing to pay a premium for their choice. Fresh milk consumers value knowing and trusting the farmers who are providing their food and appreciate obtaining it locally. These preferences argue for increasing numbers of smaller dairies, scattered throughout all regions of the United States. Such a view presents a challenge for the material in this book, given the considerable variation in climate, soils, topography, population density, feed, supplement infrastructure, dairy technicians and veterinarian support in these different regions. We know that there are thousands of families operating fresh milk dairies in the USA who are profiting from and enjoying this way of life.